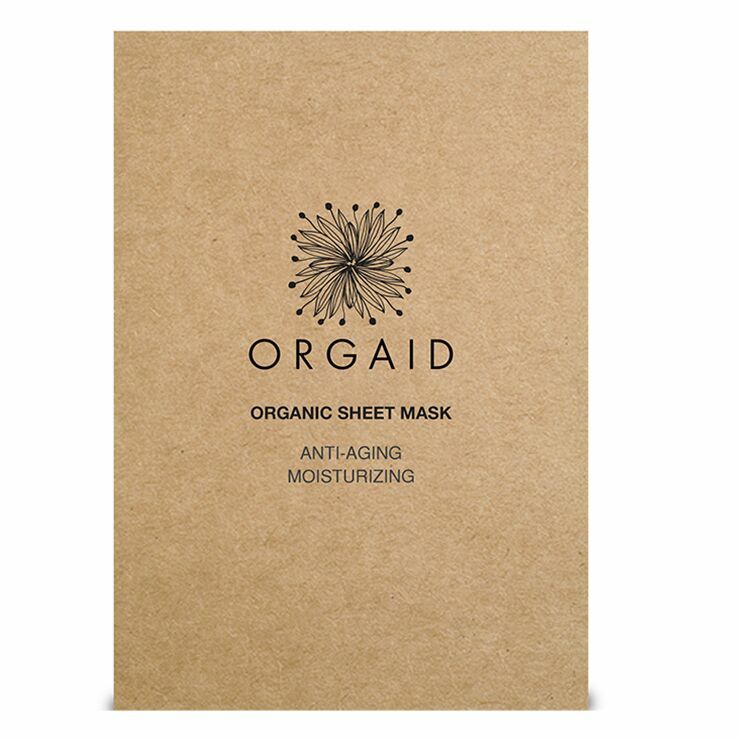 Restore a feeling of moisture and calm to skin with Orgaid Anti-Aging & Moisturizing Organic Sheet Mask. Aloe vera offers a feel of soothing lightweight hydration for even the most sensitive skin, while hyaluronic acid and vitamin B3 reduce the appearance of aging and make skin look more youthful. Witch hazel eases signs of swelling and breakouts for a clear and refined look. Willow bark, lavender, and green tea lend a sense of calm and protection. 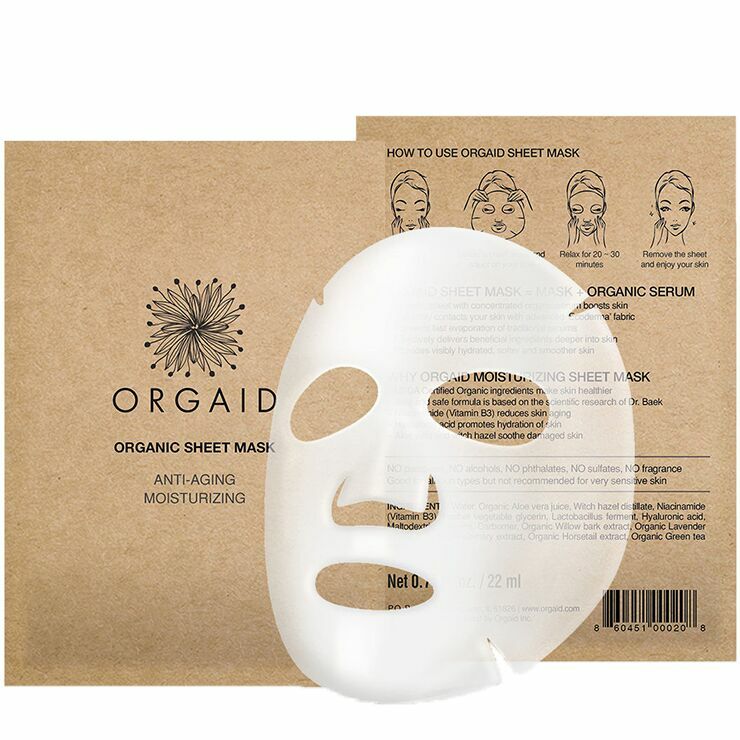 Apply sheet mask to clean skin and relax for 20-30 minutes. Remove the mask. Use regularly for a clear, supple, glowing appearance.